Taut. Compact. Nimble. Sporty. 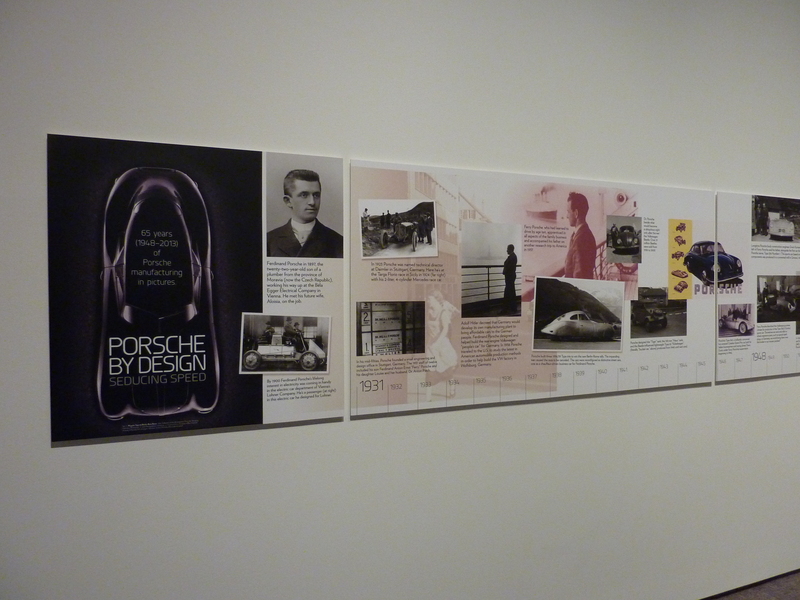 These are just a few key terms describing the Porsche 356C Carrera 2 Coupe now on display at the North Carolina Museum of Art in Raleigh. 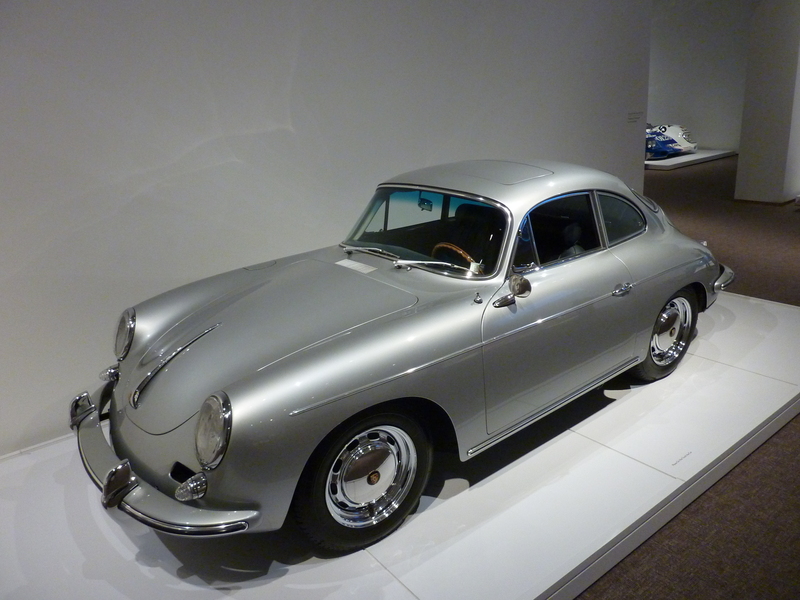 Hite’s favorite car was the 356 Coupe. 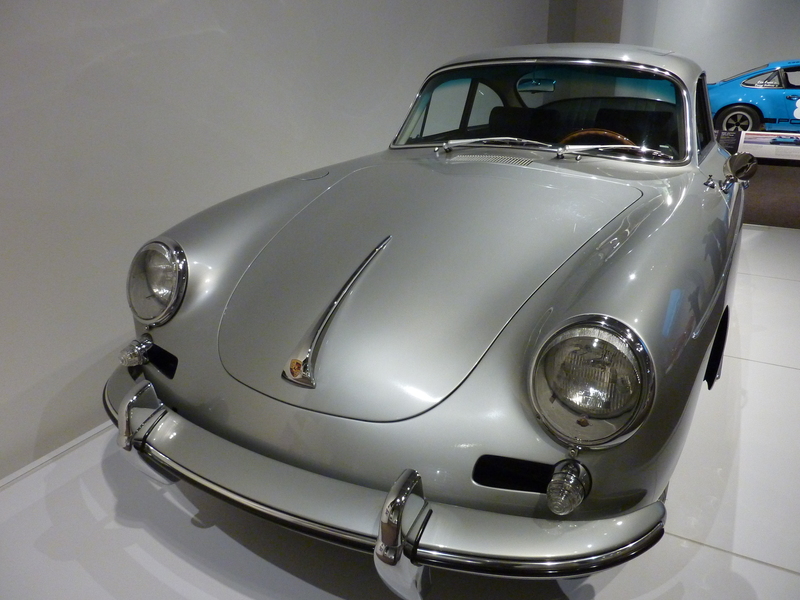 By the mid 1960s, after 15 years of success on the market, the 356 Series was beginning to show its age. 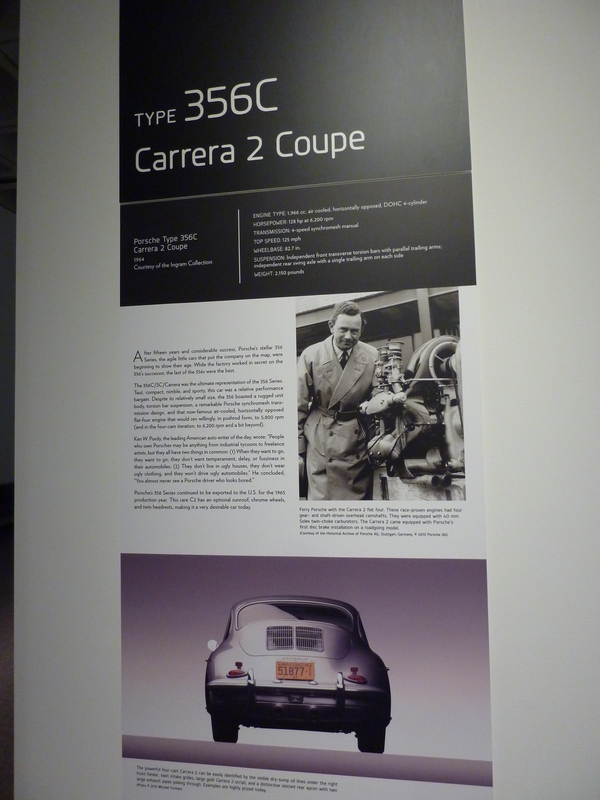 Even as the Porsche factory worked on the car’s successor, the last of the 356s were the best. A famous American auto writer summed up Porsche owners with just this: “They don’t live in ugly houses, they don’t wear ugly clothing, and they won’t drive ugly automobiles.” Known for its style and artistry, the Porsche is anything but ugly. 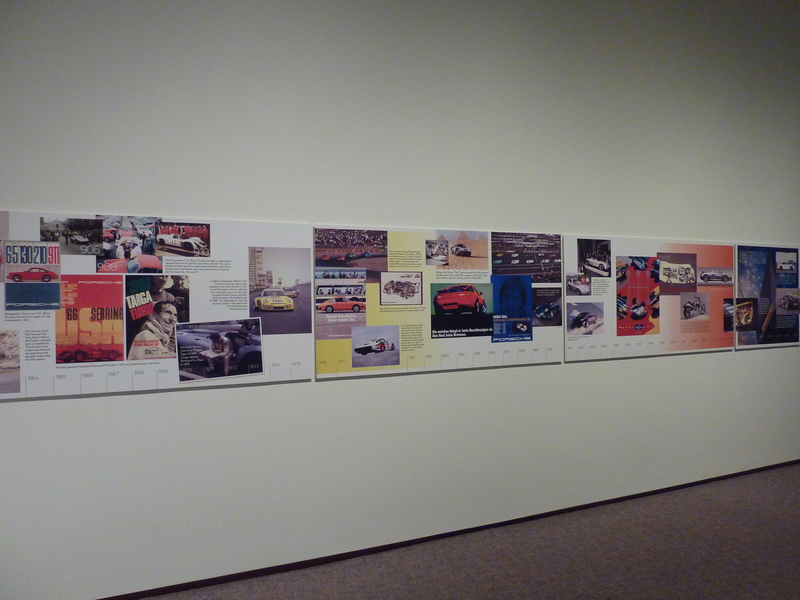 Despite its size, the Coupe boasted a rugged unit body, torsion bar suspension, synchromesh transmission design, and the famous air-cooled, horizontally opposed flat-four engine that would rev in pushrod form to 5800 rpm – and 6200+ rpm in four-cam iteration. With a top speed of 125 mph, this rare C2 has an optional sunroof, chrome wheels and twin headrests.